For some things, such as water bottles and cleaning sponges, you can purchase the cheapest option and come out on top. But, as you know, that isn't always the case. When you’re buying a car or a house, you wouldn't go for the most inexpensive option, would you? Instead, you’d pay the higher price if it meant a better quality product. Well, getting hair extensions is no different. You might be thinking that buying hair extensions is nothing like buying a car, and you’re right in some ways. However, they’re the same when it comes to looking for quality over a low price tag. Hair is something that most people have their entire lives, and so it should be given good care. 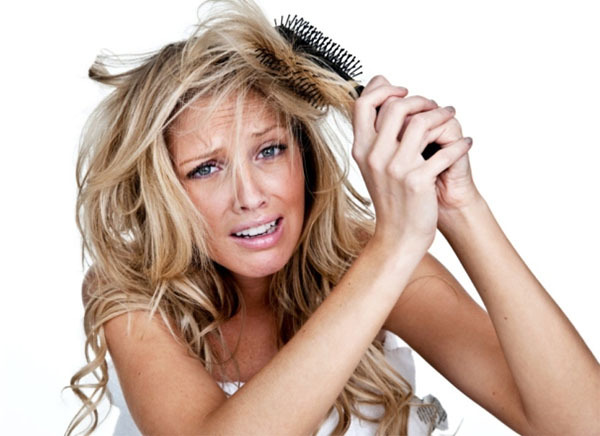 You don't want to risk it being damaged, or worse, something happening to your scalp. In addition, if you opt for the lower price and your extensions end up looking bad, you’ll have to pay extra to get them removed and have new extensions added. You may end up paying more than you would have had you chosen quality over a low price. It might help the decision to go for the higher price if you understand why that price is so high. For one, many hair extension methods take a while to be done properly. The more of someone’s time that you take up, the less time that they have to work on other clients. Therefore, it costs more. On top of that, high-quality extensions can make the price go up. The best extensions to get are made of human hair and have the cuticle on all the strands going the same direction. These types of extensions are called Remy extensions. It’s used because it can be styled easily and won’t tangle like lower quality extensions. You want these high-quality extensions because they last longer, look better, and are easier to manage. So what could a low-cost job really mean? If you get your hair done by service providers who offer low-cost hair extensions, they could be using extensions that are low-quality, are an unknown brand, and are non-Remy. This could mean extensions that aren't entirely real human hair, but instead have some animal or synthetic hair mixed in. Plus, the extensions may not even have the cuticle intact, which means lots of tangled, matted hair for you. To make it worse, if you pay for a low-cost service, adhesives that aren't 100% keratin could be used. Why does that matter? If you don’t already know, keratin is a protein that is found naturally in the human body. It makes up your skin, nails, and hair. Adhesives made of keratin are used because they are durable but also easy to remove if you have keratin glue remover. If non-keratin glues are used, it could create problems when you try to take the extensions out.